Forget Dan Brown and Stephen King, and with apologies to the late Senator Kennedy (whose memoir came out in September), in my mind, the fall publishing season hits its crescendo tomorrow with the release of the new John Irving novel — Last Night in Twisted River. I've been a huge, huge John Irving fan since I stumbled across The Cider House Rules several years ago, and I've since read just about everything he's published, including A Prayer for Owen Meany and A Widow For One Year, which are two of my all-time favorite books. So I couldn't be more excited to read Twisted River! But when a favorite novelist publishes something new, I'm always a little bit apprehensive, as well. Even if the new book is legitimately terrible, it's still not easy to read someone you admire getting trashed by snooty reviewers. Sadly, that was the case for both of Irving's last two books — the abysmal Until I Find You, and the mediocre The Fourth Hand. Thankfully, the reviews for Twisted River have been very positive. Entertainment Weekly gave it an A- and the LA Times gushes that "reports of Irving's demise are greatly exaggerated." Twisted River is "majestic yet intimate, shot with whimsy, dread and molten pathos." Finally, if my enthusiasm isn't quite enough to sway you to check it out, maybe Mr. Irving himself can. Here is video of Mr. Irving discussing the story. "...to appall is a good thing..."
Have you read Angela’s Ashes? You’re probably nodding with a bit of a wistful look on your face right now. Until last night, when I finished the book, I felt like I was the only one in the world who hadn’t read it. It’s one of those books that’s been on my shelf for years, and I always promised myself I’d get to it “soon.” When Frank McCourt died this summer at the age of 78, I almost felt guilty for never having read it while he was still in the world. You ask anyone about the book and inevitably you get the same response: “Wow, what a great book, and so, so sad.” And they’re right, the family’s poverty, sibling deaths and the father’s alcoholism and utter disregard for the welfare of his family make for, on the whole, a rather melancholy 360 pages. But what I didn’t expect is how absolutely hysterical the book is at times. In fact, the scenes I’ll almost certainly remember the most from the books are the funny ones. The other thing that stands out about this book is McCourt’s lyrical childlike voice. The dialogue is wonderfully Irish and seemingly pitch perfect, and his portrayal of his childhood version of an almost superstitious Catholicism and the accompanying guilt is practically gut-wrenching (i.e., he is stricken with guilt that he sent the girl of his first sexual encounter to hell because she never had a chance to confess before she died). I loved this book, for its humor, its pathos, its general “funness.” The only thing that made this book sad for me is the knowledge that its author is no longer with us. RIP, Mr. McCourt! With apologies to hoops fans, the book-dork meaning of the acronym NBA has nothing to do with LeBron, Kobe or D-Wade. NBA means National Book Award, and outside of the Pulitzer, it's probably the most prestigious American literary award. Perhaps I'm not as hip to the goings-on in the literary world as I'd thought, but I'd only actually heard of one of these novels - McCann's Let the Great World Spin. It's on my amazon wishlist, but wasn't even approaching the top of my priority heap. Regarding the rest of the list: I mean, talk about obscurity! Five bucks to anyone who knows how to pronounce Mueenuddin. And then there's American Salvage -- which apparently is a slender volume of short stories about Michigan published by the Wayne State University Press??? I guess, man. Not having read any of these novels, I'm in no position to contest whether or not they belong on a literary-merit basis. Maybe these really are the best five novels America has produced this year. Still, it's hard for me to imagine that any of these are better than Verghese's Cutting For Stone. So, I concur with the EW blogger -- what a friggin' disappointment that it wasn't on the list. One piece of good news from yesterday's announcements, however, is that one of my favorite writers, Dave Eggers, will be receiving something called the The Literarian Award for Outstanding Service to the American Literary Community. I'd be willing to bet a huge reason for the award is that Eggers is donating all the profits from his book published this July called Zeitoun to a charity called the Zeitoun Foundation. The book is the true tale of a Syrian immigrant trying to survive post-Katrina New Orleans and the charity was was founded this year to "aid in the rebuilding and ongoing health" of NOLA. Eggers also founded and runs an organization called 826 Valencia, which a non-profit writing center for youth located in the Mission District of San Francisco. Anyway, if you haven't read Zeitoun, I couldn't implore you more strongly to buy it and read it immediately. It is eye-opening and rage-inducing and mind-boggingly fantastic all at once. You can see the lists of NBA nominees for all categories here. And here's a list of past NBA Fiction winners. This year's award will be announced November 18th in New York City. Check out this story in yesterday's NY Times about a woman in Connecticut who has read one book per day every single day for the past year. Her blog where she publishes her daily review is really interesting, too! Needless to say, my own pace is a tad slower - I try (often unsuccessfully) to get through a book about every week, which I think is about average among fellow book dorks. When I start a book, I mentally set a goal for when I hope to have it finished - depending on length, my upcoming schedule, etc. That way, even if I'm not enjoying it, I'll stay motivated to plow through it. So, what is your reading pace? Any quirky reading-related habits? The season kicked off on Tuesday, with the announcement of the Man Booker Prize, which is basically England's equivalent of our National Book Award. The Prize was awarded to Hilary Mantel for her novel about King Henry VIII titled Wolf Hall. Even though the novel won't be released in the U.S. until next Tuesday, it quickly shot up the amazon best-sellers list, currently holding fast at #4. Secondly, the most prestigious literary prize of the year was awarded this morning — and if you had Romanian-born poet and novelist Herta Muller (pictured, left) in your Nobel Prize for Literature pool, well, drinks are on you! The Swedish Academy continued its penchant for picking rather obscure European writers whose works chronicle some sort of struggle against injustice. Sure, that's admirable, but that criteria totally ignores what the Prize seemingly should be — a lifetime achievement award recognizing a body of critically acclaimed literature. Every year I root for the very-deserving American writers like Thomas Pynchon, Joyce Carol Oates, Don DeLillo, and (one of my absolute favorite novelists) Philip Roth. And every year I'm disappointed. You can go here for a list of winners. There hasn't been an American winner since Toni Morrison in 1993. 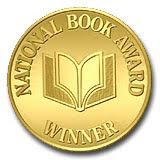 Finally, rounding out the season, the National Book Award — which recognizes the best American-published book of the year, as decided on by a panel of judges selected by the National Book Foundation — will be announced November 18th. If I were a voter, I'd definitely pick Cutting for Stone, by Abraham Verghese. This novel about Ethiopian twins who grow up to be doctors was published in February, and has steadily gained word-of-mouth momentum and overwhelmingly positive reviews since. It's a fantastic read! As a dark horse candidate (i.e., no real chance in hell), I'm rooting for The Song Is You, by Arthur Phillips. This sweet, lyrical novel about a man's muse/artist relationship with an up-and-coming singer, is easily the best book I've read this year, but it didn't sell too well, so it probably won't get a look. Way back in 1996, Oprah began offering literary suggestions to give her legions of fans guidance on what to read. The Oprah Book Club quickly grew into the most recognizable book club in the world. An Oprah Book Club endorsement was an absolute golden ticket for an obscure novelist, pushing sales into the hundreds of thousands. Because Oprah's audience is mainly women, I never really paid much attention to her Book Club selections, mentally writing them off as...well, not quite chick lit, but one step above. 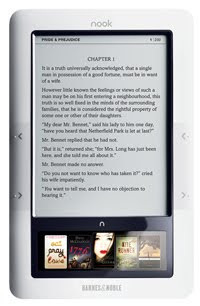 The novels by writers such as Wally Lamb, Barbara Kingsolver and Toni Morrison seemed to me to be touchy-feely sobfests. Taking a senior-year-of-college creative writing seminar taught by Oprah-selected novelist A. Manette Ansay, did nothing to change my perception. I read Vinegar Hill before the class started so I could get in good with the instructor. It wasn't a bad novel, but it was exactly as foo-foo as I suspected an Oprah book might be. Over the last few years, Oprah's selections have been much more infrequent and much, much more eclectic. She's picked everything from classic literature like Anna Karenina to The Road, a bleak post-apocalyptic tale by Cormac McCarthy. Which brings me to the point of this post: I'm currently reading The Pillars of the Earth, by Ken Follett. By all accounts, this novel about a 12th century monk who builds a cathedral was one of the more bizarre Oprah selections. It's nearly 1,000 pages, violent and sexually explicit, and is written by a novelist who had produced nothing by genre-y thrillers before Pillars. I'm about two-thirds of the way through and am thoroughly enjoying it so far. As you might expect, it's not exactly intellectually challenging, but just a good, fun read. 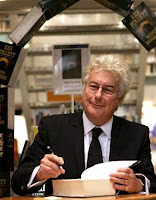 Finally, here's a video of an (very uncomfortable, and therefore hilarious) interview of Ken Follett by Oprah. They couldn't have edited out the waiter?